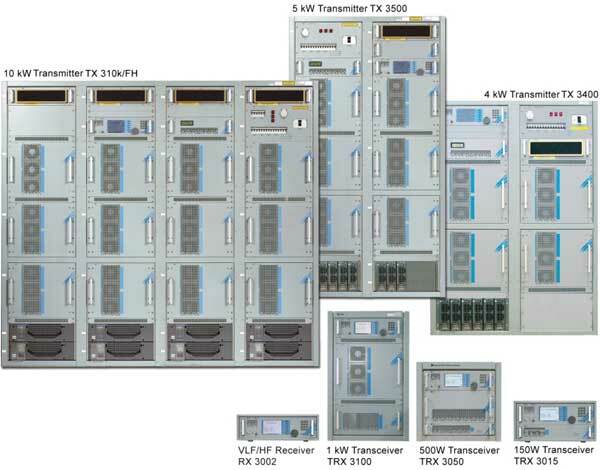 HF Radio Series 3000 is a family of software-based, multi-purpose, high-performance and modular equipment that comprises the transceivers TRX 3015 / 3050 / 3100 (150 W / 500 W /1 kW), the transmitters TX 3400 (4 kW), TX 3500 (5 kW), TX 310K/FH (10 kW / Frequency Hopping) and the VLF/HF receiver RX 3002. The radios can be operated via the large front panel display which assists during menu-driven operation, and alternatively via the remote control terminal UT 3002. Parameter settings are achieved via soft keys and/or flywheel and appropriate keypad elements on the front panel. 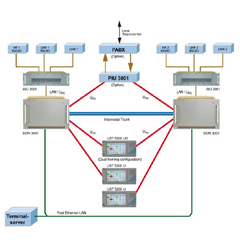 The family features identical basic modules for VLF/HF receivers as well as for the transmitters. 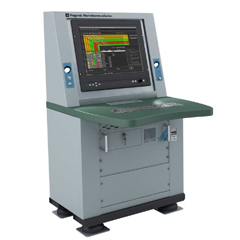 The modular design structure, available range of built-in and external system options, and extensive software support guarantee flexible adaptation to current and future radio communication requirements, including network applications.